The most basic definition, of Chief Financial Officer (CFO) is “the senior manager responsible for overseeing the financial activities of an entire company.” But, this definition is actually quite narrow. A tech savvy (full stack) CFO uses technology to drive innovation across the four faces (steward, operator, strategist, and catalyst) to lead the charge in improving efficiency, control, cost savings, and revenue enhancement across the finance department. 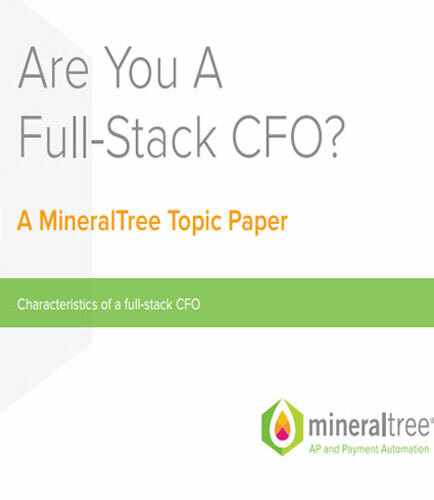 This whitepaper provides insights on how the other roles of a full-stack CFO— catalyst, strategist, steward, and operations— can propel the company forward and where the full-stack CFO can most impact operations. What is Payroll Management System ? Payroll management system is the system by which employers can pay the employees for the work they have completed. Although payroll seems like a mundane task, it involves many aspects including the withholding of taxes from each pay checks and making sure accurate funds are paid to the correct government agency.